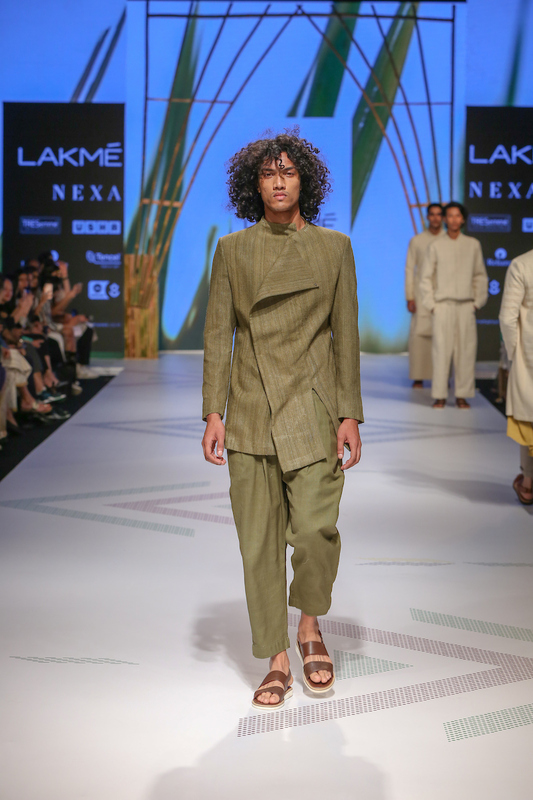 Day 2 of Lakme Fashion Week saw an interesting association between the United Nations Development Programme, GoCoop, and Raymond who came together to create an opportunity towards sustainable development of the artisans of North East India. 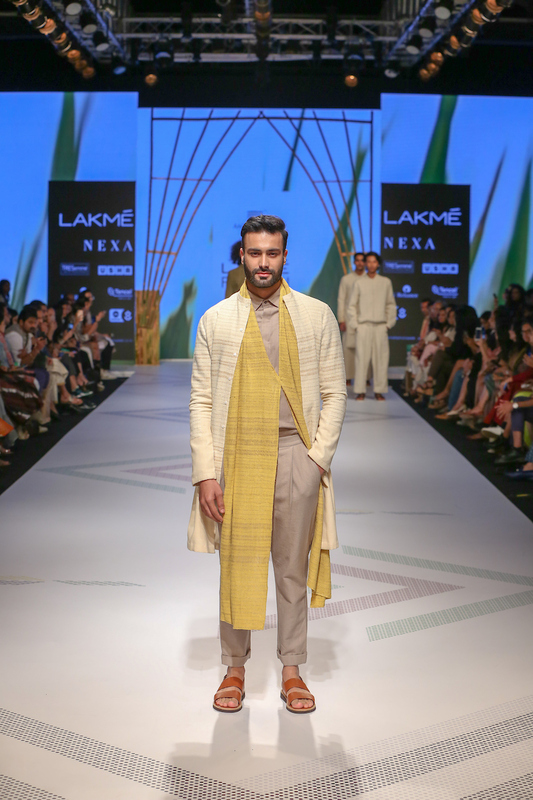 Known for their play with fabrics and structures, Antar-Agni by Ujjawal Dubey created a capsule collection for Raymond on the day two of the Lakme fashion week S/S 2019 season. The line aimed at strengthening the livelihoods of artisans by providing them with development support and market linkages. Combining the beauty of handspun textiles sourced from small clusters in Rampur, B A L A N C E was an intersection of formal and fun, of contemporary and Indian. The artisans used traditional hand weaving techniques to create beautiful fabrics from various silk fibers such as Eri, Muga and Matka that formed the mainstay of the collection; taking center stage was a blend of traditionalism and contemporary with silhouettes featuring zari work on silk textile. 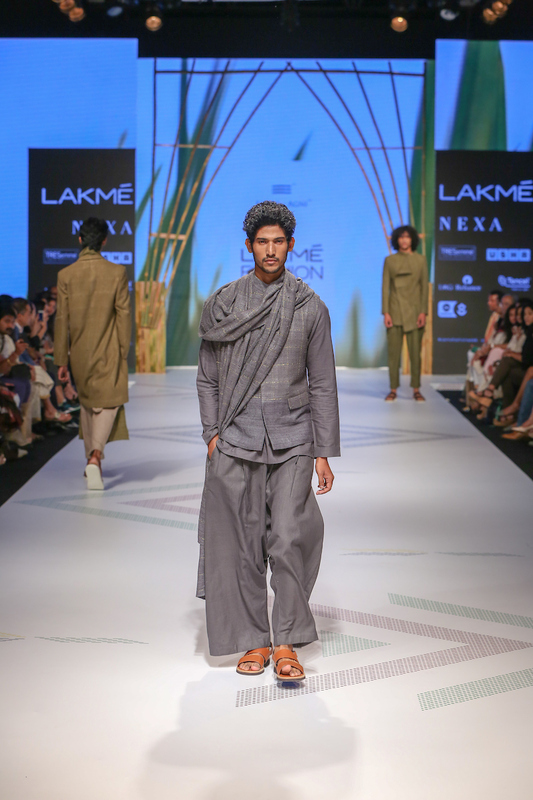 The color presented at the show was the earthy and neutral side of the palette where style looked very relaxed with the fusion of the Indian and western style. 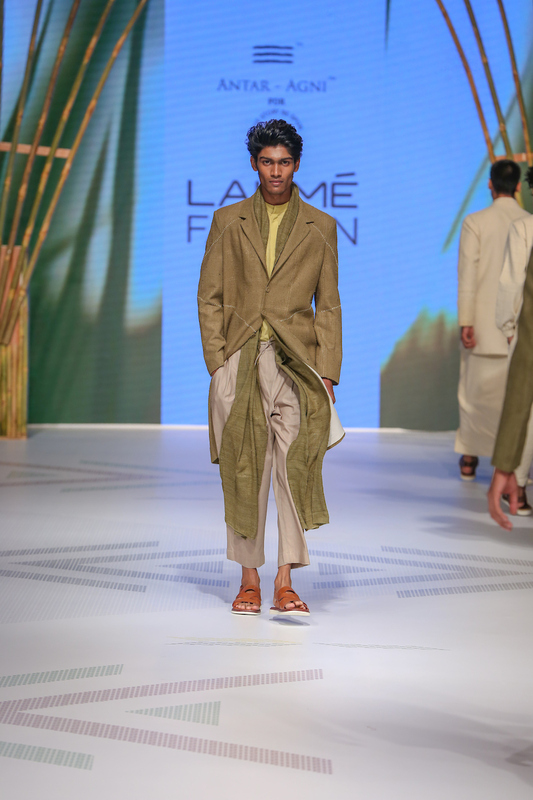 Trousers are wide legged and Indian jacket draws a perfect combination for the collection BALANCE. Its been a challenge and an amazing experience to work with the textured handspun handwoven silks from the Assam cluster with the support of Raymond that has a strong vision and belief in such grassroots projects and GoCoop - an organization that helps get a platform for the clusters. The collaboration in itself is an interesting mix of various organizations and their belief system.